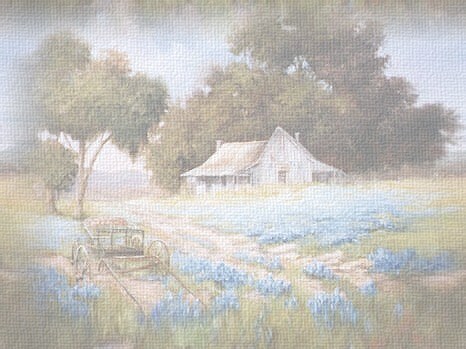 Papa got sick and things weren’t too good for them, so they sold the farm and went back to Joshua. But somehow that didn’t work out too well. Papa’s health had gotten worse, so Mama saw she would have to do something, so she began trying to get the post office at Samnorwood. Things began falling into place at Joshua. They moved back to Samnorwood. Papa’s health got worse, and he passed away in 1952. Mama stayed on as postmaster until she retired at 70. Even though it makes me sad to go back, I always want to go by the cemetery if I am close by. 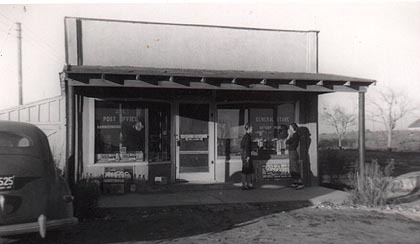 This is how the post office looked in 1946 when we had a family reunion. Mama and Papa lived in the back part and the post office and store were at the front.